Talladega coach Chuck Miller and his dad, former Talladega coach Chuck Miller Sr., have both won 700 games in their coaching careers. 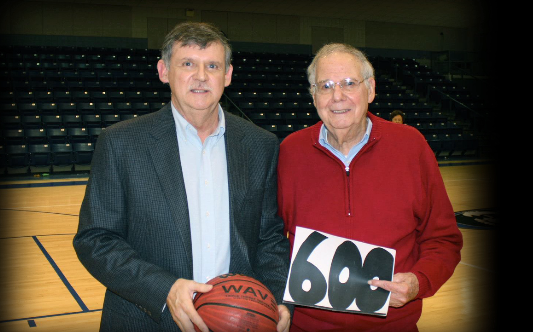 On the cover, Miller and his son Trey (left) visit with 500-game winner Larry Davidson before a recent game at Oxford. 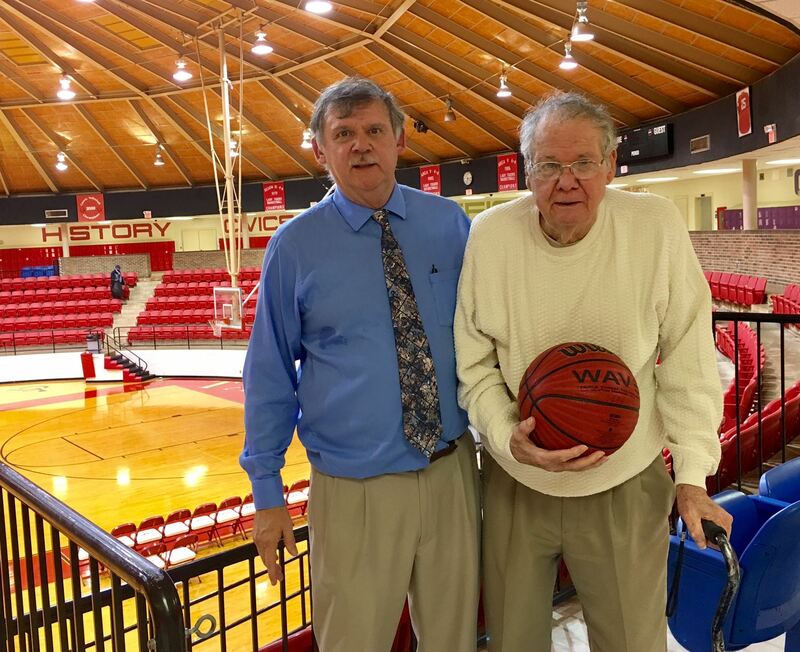 TALLADEGA — Chuck Miller joined an elite group of high school basketball coaches, including his own father, with 700 career victories when he hit the milestone in his second try Wednesday. Miller’s Talladega Tigers handled Coosa Central 80-69 to give Miller career victory No. 700 on the floor that bears his father’s name. Chuck Miller Sr., a member of the Calhoun County Sports Hall of Fame, won 704 games in his coaching career. Chuck Jr. is now 700-318 in 37 years as a head coach at Wellborn and Talladega. A total of 410 wins have come at Talladega, along with nine Talladega County championships, nine area titles and two Final Four appearances. When the milestone finally was in the books Miller, as expected, deflected to all the players, assistants and others who helped make it all possible. “I thought 700 would come this year, we were just 14 away, but it’s a long effort over all these years,” Miller said. “I’ve had so many people to help me along the way that I can’t name them all. It’s not just me. Miller has the game balls from all seven benchmark wins that he eventually will have painted collectively. 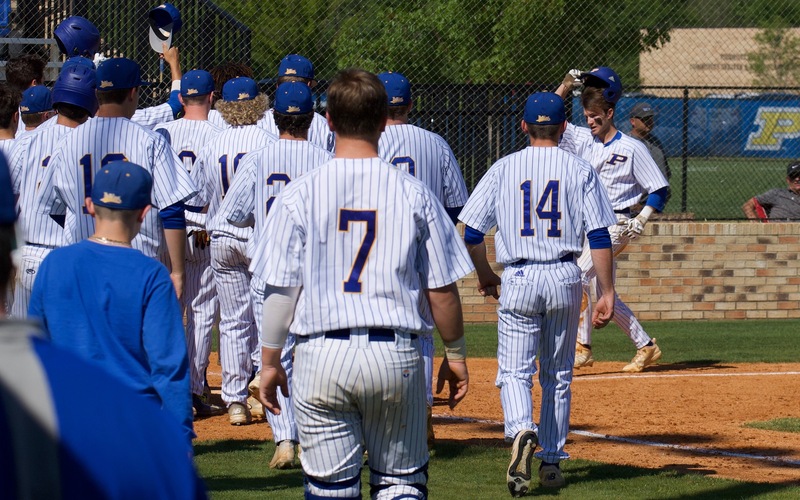 They should make a nice picture with the ‘704’ ball presented to his father after his retirement at Etowah. The Alabama high school sports history website and the Alabama High School Athletic Association list only 11 coaches with 700 or more career wins and the Millers are not among them. The elder Miller watched Tuesday and Wednesday’s games from the concourse. He said he was “very happy” for his son. As this latest milestone approached Chuck Jr. tried to keep things as low key as possible. Even the players said they didn’t know he was on the verge of something significant. “I’m happy for him that he got 700, and hopefully more,” added post Jae-Lyn Russ. The Tigers had a lot of motivation. They were determined to bounce back from the loss to Clay Central less than 18 hours earlier in the first attempt at 700 and to avenge a loss to the Cougars in the Talladega Christmas Round Robin on this very floor. With Russ dominating inside early and Duncan picking it up when Russ took a breather, the Tigers opened an 18-2 lead. There were a few bumps in the road. A 20-point lead shrank to five early in the third quarter. At that point, the Tigers’ defense kicked back into gear and they eventually pushed the lead back to 19. But the Cougars rallied again, getting as close as nine with six minutes left, and this time the Tigers turned it aside. Miller’s son Trey, an accomplished commercial producer and actor, played in 70 of the wins. He was part of No. 400 (at Lincoln) and, since joining his dad on the bench after returning from college, has coached in Nos. 600 (in the 2013 Talladega County Tournament) and 700 (Wednesday). He has produced a short video on his father’s career and will show it Thursday in the school’s Career Tech building. “As a former player of my dad and being on the bench with him since I was 4 or 5 I think (the milestone) shows his love for the game of basketball and coaching young kids,” Trey said. “My dad has put so much time in coaching over the years at Wellborn and Talladega I just feel like winning 700 games by him not only shows that he builds programs and year in and year out they’re winners, it shows he has a deep love for what he does. COOSA CENTRAL (9-7) – Omar Gaddis 2 2-2 7, Jaylon Street 1 2-2 5, Tyus Maxwell 5 11-11 23, Dajon Graham 1 0-0 2, Shi Reece 2 1-2 6, Tyius Evans 4 2-5 10, Jevon McKinney 1 5-9 7, Tae Griffin 1 0-0 2, Noel Jones 3 0-0 7. Totals 20 23-31 69. TALLADEGA (14-6) — Fred Dickerson 5 6-7 16, Chaztin Tanner 2 0-0 6, Tyrese Scales 2 0-0 4, Jarvius McKenzie 2 0-0 6, Ashton Duncan 6 7-10 21, Chrishawn Williams 1 0-0 2, TaShaundez Bolden 0 0-2 0, Robert Houston 3 0-0 6, Jamonte Twymon 2 0-0 4, Jae-Lyn Russ 6 3-5 15. Totals 29 16-24 80. 3-point goals: Coosa Central 6 (Gaddis, Street, Maxwell 2, Reese, Jones); Talladega 6 (Tanner 2, McKenzie 2, Duncan 2). Fouled out: Jones. Total fouls: Coosa Central 20, Talladega 22. Officials: Baker, Oden, Holmes. Notes: Russ also had eight rebounds, five blocked shots and three steals. Houston grabbed eight rebounds and Dickerson dealt six assists.